A Prag Inverter is a good choice for homes and businesses. Prag offers a H-Series Inverter line that is wall/rack-mountable, making them great for server rooms, computer labs, hospitals, or anywhere where space-economy is a critical issue. 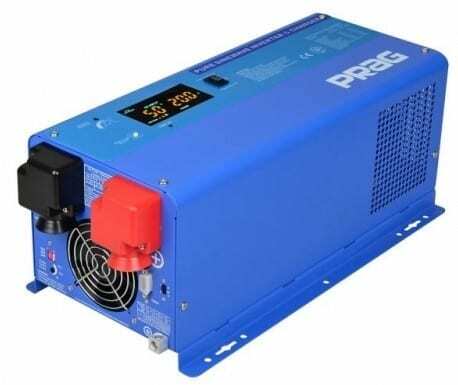 Prag inverter price in Nigeria ranges from 69,500 Naira to 1,500,000 Naira, excluding battery and installation. 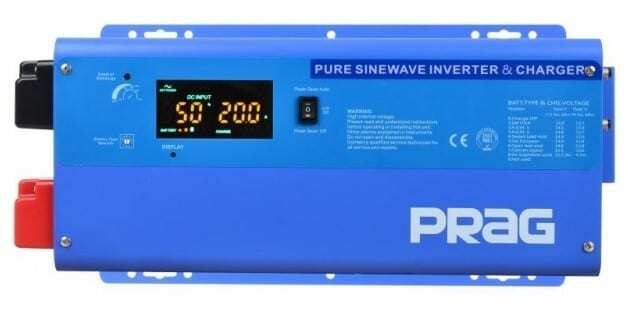 Prag Inverters offer pure sinewave and are available with power output ranging from 1KVA to 10KVA, making them okay for those sensitive gadgets in homes, offices, and IT/ICT rooms. The standard series are more affordable and looks like your everyday inverter. They are great for homes and offices. The standard Prag Inverter offers a three-stage charging system that protects your inverter battery. 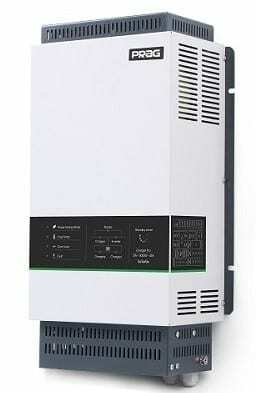 This series is available from 1KVA to 2.5KVA output power with UPS and AVR function built-in. There is also an LCD display that offers useful information about the state of the inverter and battery. Price for this series starts at around 69,500 Naira. This inverter series is designed for fast charging with voltage and temperature sensors for optimum performance. 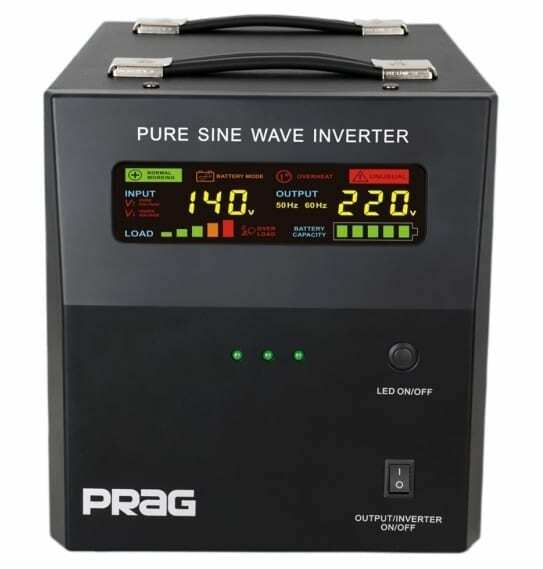 The Prag Inverter Pro is a bi-directional inverter, which means it can link to the grid as well as draw power from other sources like generator, battery, etc. The offer pure sine-wave output with up to 94% efficiency. The Pro Edition is available in 3KVA / 24V and 6KVA / 48V options priced at 437,000 Naira and 834,500 Naira respectively. The HT-Series and Advanced VT-Series Prag Inverter is more suited for businesses and larger homes. They look a lot like the CyberPower Inverters of yester-years, but rather than an orange-colour, they come in blue. The Prag HT Series and Advanced VT-Series look very similar, however the VT-Series is more advanced like the name suggests. 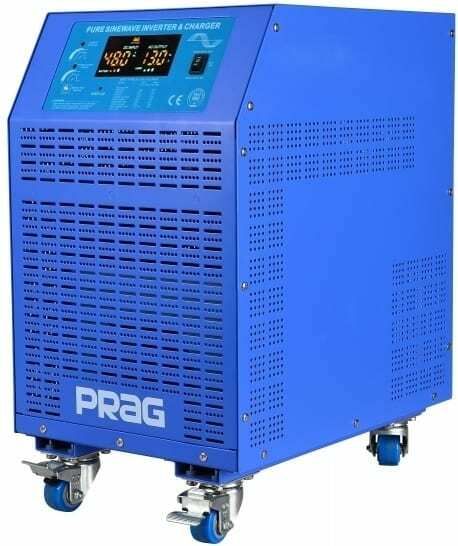 The Prag Advanced VT-Series Inverter offers Battery temperature sensor, automatic generator starting, and solar panel, three features missing in the Prag HT-Series Inverter. Both Power Inverter Series offers fast transfer with a promise of between 8ms (millisecond) and 10ms speed for switching to battery during a power failure. They can also offer overload capacity of 300% of rated output for up to 20 seconds, which makes these inverters great for appliances with inductive load like refrigerators, A/Cs, and industrial tools. They are available in 5KVA and 7.5KVA models. This Prag Inverter series can be mounted on a rack or wall. This makes them great for ICT/IT installations like Server rooms, Computer Labs, Transmitting Stations, Base stations, etc. Prag H-Series inverter will also work for schools, hospitals, clinics, homes, and offices. Being rack and wall mountable means they will be great where space is an issue. The H-Series Prag Inverter is available in capacities ranging from 4KVA to 5KVA and can also handle up to 300% of its rated output for up to 20 second, making it excellent for appliances with inductive load like refrigerators, A/Cs, and industrial tools. The V Series is very similar to the H-Series as it is also wall/rack mounted. However, it adds three features, namely Battery temperature sensor, automatic generator starting, and support for solar panel (it is a solar inverter). Prag V-Series Inverter is also available in higher capacities ranging from 10KVA to 15KVA. You can buy Prag inverters, inverter battery, and power solutions online at Jumia and Konga. You can also visit Prag showrooms in Lagos, Abuja, and Port Harcourt. 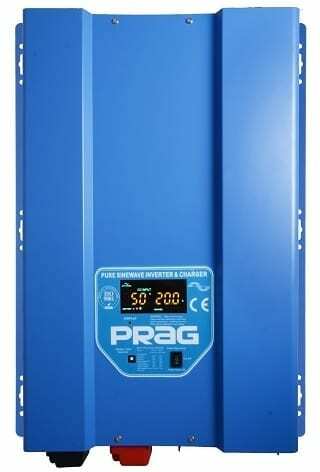 If you are looking for a high performance inverter, the Prag Inverter is a solid choice.